Effective early warning systems for natural hazards are now being increasingly recognized as an integral component of disaster risk reduction and adaptation to climate change. UN-ISDR defines early warning as “provision of timely and effective information, through identified institutions, that allows individuals exposed to a hazard to take action to avoid or reduce their risk and prepare for effective response”. In recent years, there has been greater recognition for development of people-centred early warning systems. Such systems would ensure that communities and individuals at risk are better prepared to minimize the negative impacts of disasters. RIMES initiatives in the region embody this approach, and ensure that hazard readiness and climate risk management are prioritized at the community level. 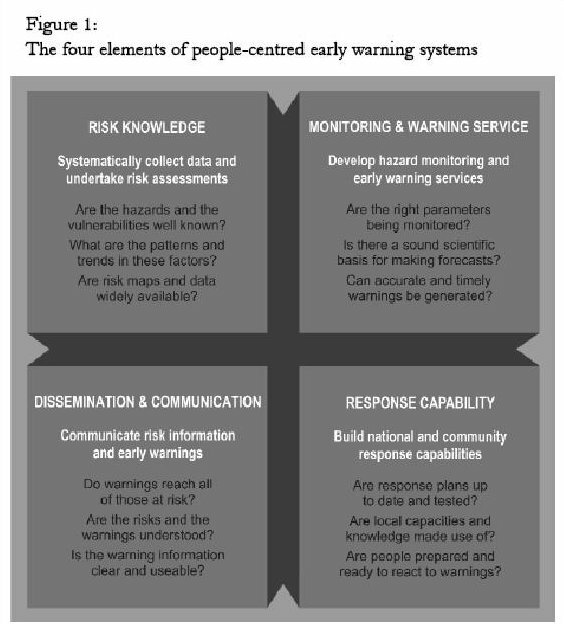 An effective people-centered early warning system has four inter-related and equally important elements: risk knowledge, monitoring and warning service, dissemination and communication, and response capability. All four elements are central to a people-centered early warning system, and gaps in any of the elements can lead to failure of an early warning system. Post-2004 Indian Ocean tsunami saw an unprecedented support for establishing early warning systems and community preparedness in the region. The Third International Conference on Early Warning in 2006 (EWC III) underscored the importance of establishing early warning systems in a multi-hazard context, so that early warning for rare hazards, such as tsunami, which are of low frequency, but of high intensity, can be activated more often for other more frequent hazards. This will ensure functionality, reliability, and sustainability of the early warning system. Over the past few years, RIMES has made considerable progress, in the region, in establishing end-to-end early warning systems. This includes establishment of Regional Tsunami Watch Providers, National Tsunami Warning Centers, supporting National Hydrological & Meteorological Services, and other institutional mechanisms for warning dissemination and community preparedness. In addition to hazard readiness, a robust climate risk management (CRM) process should operate at the community level. CRM recognizes vulnerable community groups as the main beneficiary and partner in any CRM initiative and ensures the participation of all major stakeholders in disaster, environment and community level work. Community level decision makers participate in analysis of issues, understanding and influencing the policy environment, and in emergency preparedness and early warning system management. 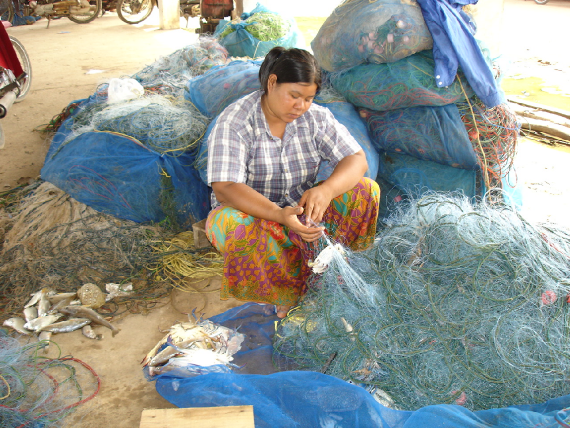 The linking of stakeholders at all key decision making levels ensures development of sustainable solutions.